For the swing, it is various food to season to the rice which is indispensable to a Japanese dining table. There is much quality that we longed for, but this is a tasteful straight type. 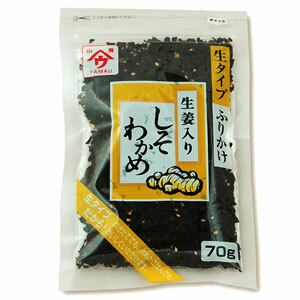 We added ginger to seaweed and a perilla of light saltiness and finished it deliciously. Other than rice, please use it for pasta, salad, fried rice.